Sour cream is often used to add creaminess to many foods and can be used as a topping for main dishes and sides, such as soups, baked potatoes, and fish. Because sour cream can add extra fat to your diet, an alternative would be to replace this with another topping that's lower in fat. 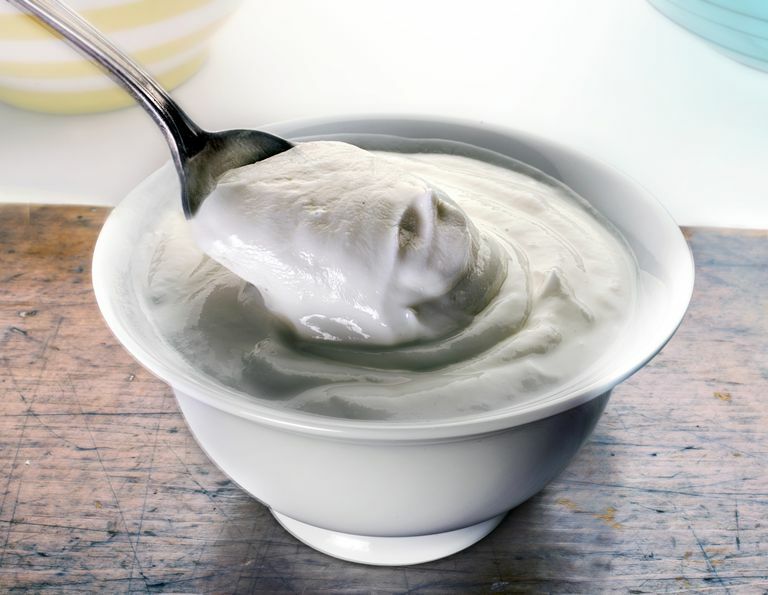 Low-fat plain yogurt is an excellent alternative that can add the desired creaminess to your food without adding the extra fat that sour cream does. If you're looking for a firmer texture to top your food with, you can use low-fat plain Greek yogurt, which is also lower in fat compared to sour cream. Butter and margarine are commonly used as spreads for bagels, breads, and crackers, but these, too, can add extra fat to your daily intake. By replacing these spreads with phytosterol-based spreads, you can cut added fat out of your diet. Additionally, this helps introduce phytosterols (heart-healthy compounds) into your diet. These spreads are a little bit softer than butter and margarine, but still taste delicious. Any spreads that contain phytosterols will state this on their package labeling. If you're looking to experiment with some of the foods you prepare, such as dressings and toppings, you might consider switching the ingredient asking for butter, cream or a full-fat milk product to a cooking oil. Some cooking oils, such as olive and vegetable oil, are lower in saturated fat and higher in unsaturated fat, which is considered to be healthier for your heart. If you select this method, you would need to experiment with the proper amount of oil to add to get your desired consistency. But the end result is worth the effort: a lower amount of saturated fat introduced into your diet. Another way you can include dairy products in your cholesterol-lowering diet is to switch to low-fat counterparts of your favorite dairy product. Practically all dairy products, including milk, yogurt, creams, and various cheeses, have low-fat alternatives and making this switch can greatly cut your saturated fat and cholesterol intake. When selecting these products, it's important to know the difference between common labeling on dairy products that are lower in fat — especially the terms 2%, 1%, non-fat, and skim. If you're significantly wanting to cut the amount of fat from your low-fat diet, but still enjoy the consistency and flavor of dairy products, you might want to consider using a dairy alternative. These foods, primarily made from soy and other products, do not contain actual dairy ingredients. However, these foods do have a similar consistency that can add texture to your dish. There are many types of dairy alternatives available -- such as almond milk, soy milk, soy protein, and tahini -- that can be added to just about any food item with delicious results. Whitney E and Rolfes SR. Understanding Nutrition. 13th edition. Cenage Publishing 2013.